inside California's 2004 stem cell initiative, the first of many state referenda on scientific research, to consider the lives it has affected. 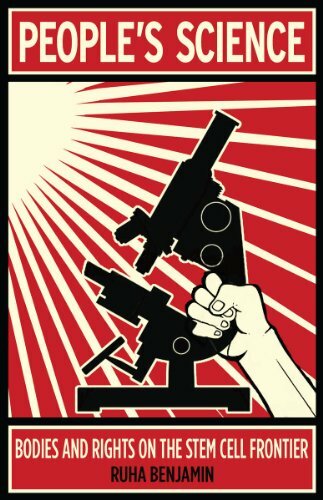 Benjamin reveals the promise and peril of public participation in science, illuminating issues of race, disability, gender, and socio-economic class that serve to define certain groups as more or less deserving in their political aims and biomedical hopes. Under the shadow of the free market and in a nation still at odds with universal healthcare, the socially marginalized are often eagerly embraced as test-subjects, yet often are unable to afford new medicines and treatment regimes as patients.Ultimately, Ruha Benjamin argues that without more deliberate consideration about how scientific initiatives can and should reflect a wider array of social concerns, stem cell research— from African Americans' struggle with sickle cell treatment to the recruitment of women as tissue donors—still risks excluding many. Even as regenerative medicine is described as a participatory science for the people, Benjamin asks us to consider if "the people" ultimately reflects our democratic ideals.